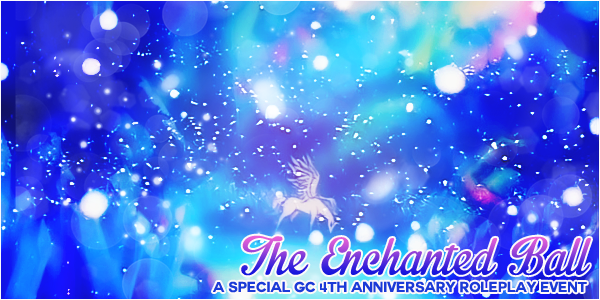 Welcome to the Enchanted Ball! You are cordially invited to attend a night full of magic and mischief. In a very rare occasion, Elysion has been opened up to the public for one very special night, and it's a holding a grand ball in the middle of its beautiful enchanted forest. Invitations has been sent out to all corners of the world, inviting senshi and civilians alike. It is to be a night to remember. But in the shadows lurks a mischievous little figure by the name of Puck, who is up to no good... He has managed to sneak into the land of dreams the moment it was opened and decided he would have a little fun on tonight's guests. After all, what fun is a ball without some misuse of magic, right? Will your night be wonderful, magical, funny, or disastrous? Only time will tell... if you dare to enter. This is a light RP event. You don't need character profiles. You may sign up as either otaku or canon character. Canon Sailor Moon characters are claimed in a first come first serve basis. Every character who signs up will be magically affected in some way, and you will have to play out the effect for the entire duration of the ball. So please make sure you're willing to do that before signing up! How each character is affected will be different and will be stated after your claim is accepted. This is the sign up thread only, the roleplay thread will come a bit later. You can sign up any time during the anniversary, but the event will close on July 17th, 2015. Any questions can also be asked here. I'll sign up as haruka! I'll sign up as CereCere! If you have questions, you can ask here. Could I sign up as Minako Aino/Sailor Venus? where is Stephanie sanders/Sailor splash? I though i signed up...if not can i still?? Oh boy way to throw me through the ringer haha I'll make sure to figure something out. I'll wait till my beloved michiru posts. Oh my god I can't wait to respond to your post, Small Lady! One question though (about Cere's enchantment), what happens if Cere imagines a person? Like, for example, if she imagines the other amazons laughing at her? Do they just disappear after a few seconds, or should I just have her not imagine people? JTC- zena may turn you into an animal- she is going to touch your shoulder because she is concerned about you. edit: you could have an article of clothing change to an animal too. thats totally fine with me. XD This ball is an incredible mess. omg your post is perfect. I don't know if Zena has touched you as a deer. I kinda want other people to respond to you as a dear. lol, that and Zena is scared and doesnt know what to do. I'm so sorry I completely overlooked your post! This may be silly, but the lack of avatar/signature made your post blend in compared to the others. But I have now added you to the list, I'm so sorry about that! Also I'm throwing myself into the mix! Cosmos, it was Zena that touched Makoto first, not Eshana.